Your wedding deserves the very best stationery suite. The “Dulles wedding suite” bespoke projects set the tone for your wedding events and communicate all the important details elegantly and effectively with custom artwork, stunning calligraphy, impeccable assembly, as well and guest list and mailing logistics. 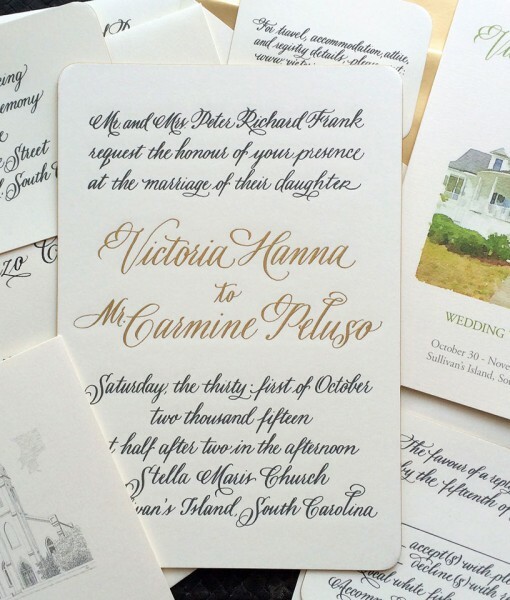 From save the dates, to invitations for each one of your wedding weekend’s events, to every possible custom “day of” ceremony, celebrations, and reception projects, Dulles Designs offers the utmost in bespoke wedding stationery from start to finish.